I read with interest the recent article by Kata Dmitrieva and Jeremy Van Loon in Bloomberg Business, in which Canada is referred to as the “new Switzerland.” In it, the authors mention our country’s reputation for safe living and banking as a driving force in Toronto’s vibrant housing market. I couldn’t agree more. I also appreciate City of Toronto planner Jennifer Keesmaat downplaying the doom-and-gloomers who predict a housing bust with the fact that our buildings are in demand, and the completed ones are mostly occupied. In fact, according to Royal Bank of Canada Chief Executive Officer David McKay, our supply of high-rise homes may not even meet demand. Toronto welcomes about a quarter of the 250,000 immigrants who come to Canada every year, many of whom buy or rent condominium suites. With Geneva-based World Economic Forum ranking Canada’s banks the world’s soundest for seven years in a row, foreign investors also feel confident spending their money here. The new Switzerland when it comes to housing? I like it. Now, let’s work on our chocolate! ACCOLADES FOR TORONTO KEEP ROLLING IN! ≈ Comments Off on ACCOLADES FOR TORONTO KEEP ROLLING IN! The 2015 ranking of the most liveable cities in the world by the Intelligence Unit of The Economist is in, and Toronto comes in fourth! In fact, Canada has three of the top five, with Vancouver third and Calgary sharing fifth place with Adelaide, Australia. The ranking surveyed 140 cities in five categories: stability, health care, culture/environment, education and infrastructure. Pretty impressive! This new accolade comes hot on the heels of Toronto being named the world’s most liveable city by Metropolis Magazine, and earlier this year, The Economist Intelligence Unit rating Toronto the best place to live in the world based on six of its indexes. Relatively Speaking, our new home prices may be the highest on record here, but purchasing real estate in Toronto and the GTA is still a bargain by world standards – especially as we are continually ranked among the top places to live. We truly enjoy an enviable quality of life by world standards! Live steps to York University’s new Markham campus! Hot on the heels of The Signature Condominium Collection, Remington Homes’ sold-out success in Downtown Markham, this renowned builder is preparing for a fall launch of York Condos – the next generation of residential opportunities in this evolving neighbourhood. NOW is the time to register for this new residence, which will be situated steps to the newly approved York University campus. 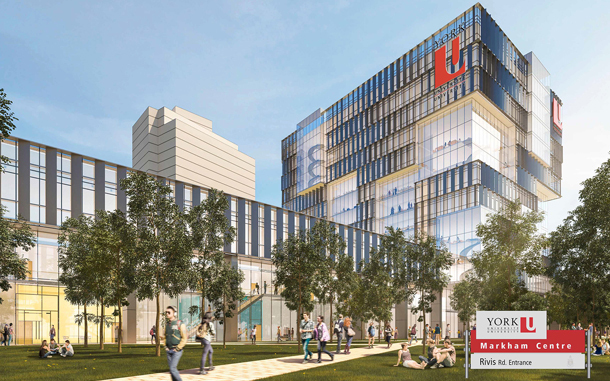 York University Markham Centre will be a satellite campus designed to accommodate over 4,000 students initially, with the possibility of future growth. It will be the first university campus in York Region, which is one of the fastest-growing Regions in Canada. Within this vibrant context, the entire Markham Centre area is undergoing an exciting metamorphosis, with Cineplex Cinemas now open, and the Atos Markham Centre on Main Street Unionville having drawn international attention during the Pan Am/Parapan Am Games this summer. Imagine having that facility and a York U campus practically in your backyard! And there is so much more! Within Markham Centre, Downtown Markham is the largest planned mixed-use community in Canada, with outstanding retail and commercial venues, as well as incredible residential opportunities. Downtown Markham spans the area west of Warden Avenue, east of the GO rail line, south of the Rouge Valley and north of Highway 407. Shops, parks, eclectic restaurants, offices, an art program, fitness facilities, access to public transportation, green space, trails and amazing walkability set this address apart as a special place to live. Watch for details on York Condos coming soon. For the optimum chance to live, work and play in this outstanding community, register TODAY at DowntownMarkham.ca. ≈ Comments Off on TAKE THAT, NAYSAYERS! I am always amazed at how negativity can abound about real estate when the facts bear out a positive outlook. Take new condominiums in the GTA, for example. We have been reading concerns about the unsold inventory of condo suites, yet Urbanation reported that during the second quarter of 2015, the figure dropped 13 per cent over last year’s same time period. Often considered a major indicator of how well condos are doing in the marketplace, unsold inventory seems to be telling us things are just great, thank you very much. Demand also continues to be strong in the resale condo market, with TREB statistics noting that July 2015 sales were up 14.4 per cent over last July. And for all of the sensational media about skyrocketing housing prices in general, the overall sales figure accounting for both low-rise and high-rise resale homes and condos was still up 8 per cent over July 2014. According to TREB, demand continues to outpace supply. All of this comes at a time of the year when home sales typically dip, with people vacationing and making use of their cottages during the summer weather. The surge of condo interest definitely has to do with the average price of low-rise homes being out of the financial reach of both young buyers and baby boomers. The appeal of buying now, while mortgage interest rates are still historically low and before prices go up again, is irresistible for many – especially for completed suites they can move into quickly. Add continued strong immigration to the equation, and it looks as though the GTA’s condo market is on track for another great year. The big picture is rosy! Phase 2 at The Link Condos + Towns in Burlington is selling so well, that ADI Development Group is gearing up for the onset of construction. NOW is the time to get in on pre-construction pricing, while you still can. There is a huge pent-up demand for condominiums in Burlington, where The Link is located at Dundas Street and Sutton Drive. ADI Development Group’s condominium community is well named, as it is “linked” to Bronte Creek Provincial Park and scenic Bronte creek. 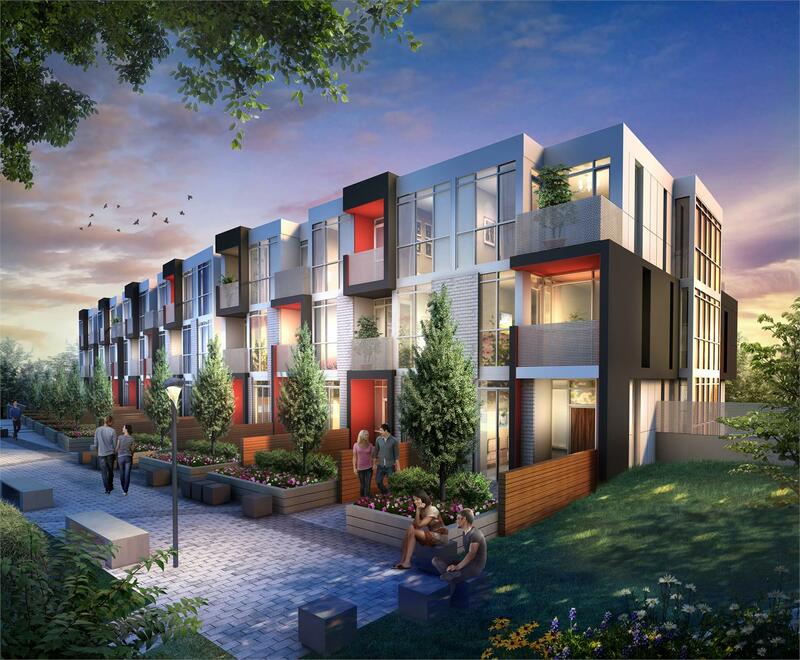 Stylishly contemporary, the condos and towns are the brainchild of the renowned architectural firm RAW Design. Luxury reigns throughout these well-appointed residences and the two-storey amenity centre that will encompass fitness facilities, a party room with a kitchen, lounge and dining room, plus pools, sauna and terrace. Purchasers hail from diverse backgrounds and ages, thrilled to be able to enjoy carefree living in the city they know and love. Don’t miss the fabulous Summer incentives! If you would like to be part of this incredible condominium community, act now. The Presentation Centre is located at 5210 Dundas Street West. For more information, visit www.adidevelopments.com.